It took a while, but the 2013 Dimetrodon finally made it to the Dinosaur Farm and it was worth the wait. Papo is the best at the moveable jaws on these figures and this one is top notch. Nice detail and sculpt, as always. 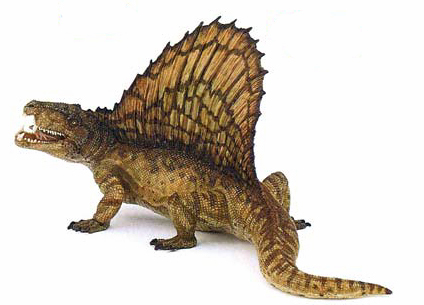 6.75″ L x 3.25″ H.
Tags: 2013, Dimetrodon, collectible, collections, Papo.